Preserving the black sea island culture along the Carolinas, Georgia and Florida coast, known as the Gullah Geechee Cultural Heritage Corridor, is entering a new phase. After almost 15 years, the effort to preserve the culture of slave descendants along the coast of the Southeast is moving forward. The Gullah Geechee Cultural Heritage Corridor now has an executive director, a new office and a new voice in reviewing projects that could affect communities that are part of the culture. 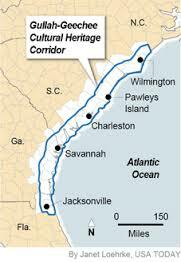 The corridor reaches from southeastern North Carolina into northeastern Florida. Known as Gullah in the Carolinas and Geechee in Georgia and Florida, the culture is based on farming and fishing and has its own creole language, history, cooking and crafts. It survived for decades because of the isolation of the sea islands but now is threatened by rapid coastal development. 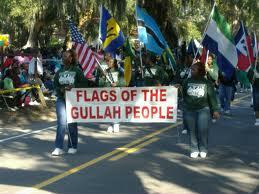 The effort to preserve it began in 2000 when U.S. Rep. Jim Clyburn, D-S.C., requested a study of Gullah resources. The corridor, one of almost 50 heritage areas nationwide, was then established by Congress in 2006 along with a commission to oversee it. Heritage areas are places where natural, cultural, and historic resources combine to tell an important American story. A corridor management plan approved last year envisions educating people about the culture, documenting and preserving significant sites and developing economic opportunities so the culture survives. The commission has been looking for a permanent executive director but after 60 applications and numerous interviews, the right person still hasn't been located, said Althea Sumpter of Atlanta, the commission chairwoman. "Instead of hiring the wrong person or someone who would not be able to understand the nuances and needs of the culture, we decided to suspend the search," she said, adding it will be resumed later. So J. Herman Blake, a commissioner from Johns Island and seventh generation descendant of a woman enslaved on a Savannah River plantation, has been volunteering since March as the corridor's first executive director and operating the commission's new Johns Island office. The initial work of moving the management plan forward involves reorganizing the commission from a panel that created a plan to one that can go out into the community to help people put the plan into effect, Sumpter said. "It's about forming a network of communities," she said. "We are looking at what one community might be doing and how it could help another community." Blake said that since the commission was established, he has noticed a new pride in the culture. He remembers back in the 1960s when the Penn Center - the St. Helena Island complex that started as a school for freed slaves and later was a retreat center for civil rights leaders - had a grant to help Gullah people learn to speak regular English. "It was felt a barrier to employment was the inability to speak standard English," he said. People are no longer ashamed of their roots and dialect as the culture becomes more respected. "They are proud now," Blake said. The commission for the first time has also been asked to review a project that could impact the culture - a proposed electric transmission line along the mid-South Carolina coast that could affect Gullah communities. Sumpter said when such projects come up the commission will work to make sure those in local communities are heard. "We're not going to be giving an opinion without asking the people," she said, adding the panel can provide another avenue through which regulators can hear from those from the sea island culture.